Have a friend, spouse, or family member who’s a die-hard programmer and can’t think of what to get them for Christmas, Valentine’s, or their birthday? You’re not alone! Geek gifts for programmers can be hard to find because programming is so specialized and unusual. As one myself, I can help you. Every programmer is different, of course, and there’s never such a thing as a one-size-fits-all gift, but there’s a good chance that most programmers will appreciate most of the gift ideas below. We’ll start with the cheapest and work up in price. No, this isn’t a joke! 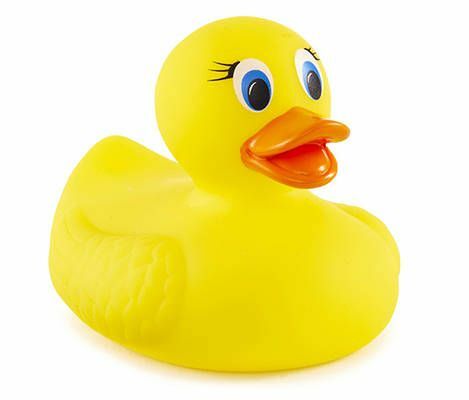 There’s a well-known phenomenon among programmers called “rubber duck debugging”: when code isn’t working right and the programmer can’t figure out why, they explain their code line-by-line to a rubber duck (or any inanimate object), and most of the time it becomes clear where the problem lies. Programming is all about logic, so what better way to exercise the mind than with logic puzzles? 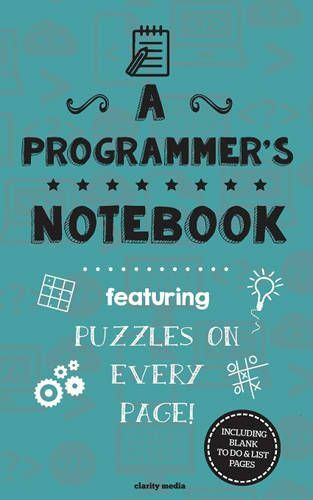 The Programmer’s Puzzle Notebook contains 100 challenging puzzles that don’t need more than a brain and a pencil to solve. It’s a great gift because it emphasizes the best aspect of programming while avoiding the expected programmer stereotypes.